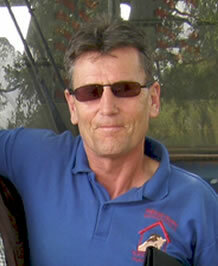 Paul Bell holidayed in Kenya in 1999 and was invited to visit one of the slum regions in Nairobi during his time there. He was truly appalled and deeply affected by the conditions he witnessed and vowed to make a difference and subsequently together with his wife Gill, Brother Des and friend Peter Byrne set-up the Nairobi Slum Schools Project Trust whose mission is to help improve the prospects for the children within the slums by providing sustained educational facilities, essential healthcare, and where possible a little bit of fun! In 2011 Paul was contacted by Ricky Weir at that time the President of the Jersey Football Association, offering some unwanted Jersey FA football kit, which Paul was delighted to accept. In conversation the realisation struck them that that they had known each other from over 25 years earlier when Ricky played for a 5 a side team run and managed by Paul. Their relationship thus revitalised saw them both keeping closely in touch over the coming weeks and months, and subsequently resulted in Ricky joining Paul on a trip to the Nairobi slums in November 2012. The trip for Ricky was principally to deliver and distribute some more donated football kits and help out Paul and his volunteers out at the Red Roof Academy. On the first day they arrived however, Paul introduced Ricky to Patrick Otieno, who with little or no resources, was attempting to organise football in the surrounding area and encourage young boys and girls away from the ever so close at hand temptations of drugs, prostitution and crime. Ricky was asked if he would be willing to do some coaching and 10 days and 14 coaching sessions later to almost 300 boys, girls, men and women was duly inspired as Paul been some 13 years earlier, to make a positive and sustainable difference to the boys and girls he had met and worked with and the conditions they endured. This was the inspiration for the formation of Jersey 2 Africa 4 Football Foundation, who’s mission is dedicated to improving young lives in Africa through the power of football! but without the efforts and dedication and inspiration of Paul Bell would never have been born. To find out more about Paul and Gill’s extensive project building and running the Red Roof Academy for over 15 years please visit their website NSSPT.org.